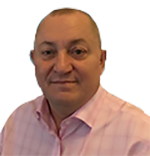 Tony joined FactEntry in 2012 to focus on strategic partnership and business development. With a focus on delivering products and consultancy tailored to client requirements, Tony has over 25 years of experience specialising in buy-side and sell-side debt capital markets. Prior to joining FactEntry, Tony was Product Director of Perfect Information which was preceded by working at Thomson Reuters reference data products.